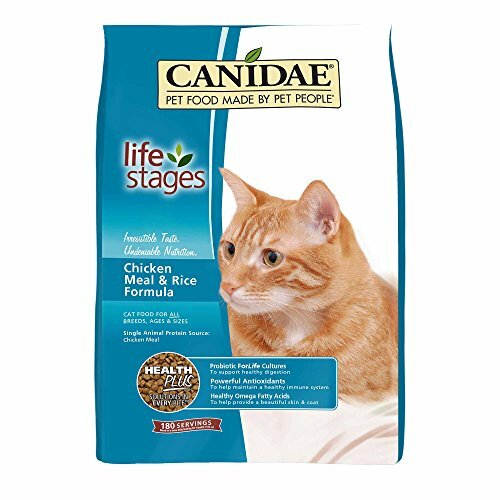 CANIDAE All Life Stages recipes are vet formulated for cats of all ages and sizes. That makes mealtimes for multiple cat households much simpler than dealing with multiple bags of different foods. Single cat households will also enjoy the beneﬁts of one bag for all cats—no more guessing or switching based on your cat’s age, breed, or size. Formulated speciﬁcally for all life stages with premium ingredients and optimum protein for nutritionally dense formulas—never corn, wheat, or soy. 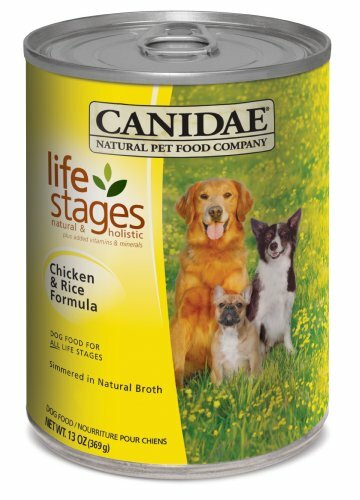 CANIDAE Life Stages in our Chicken & Rice Formula offers great tasting nutrition in a can. 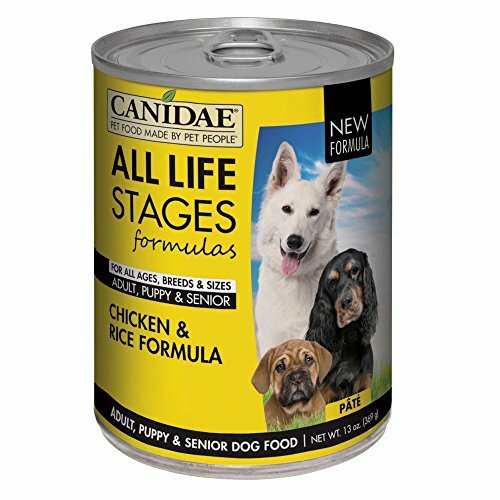 CANIDAE Life Stages canned formulas for dogs the perfect companion to our dry dog foods. You can rely on our quality nutrition to keep your dog happy and healthy. Our Chicken & Rice Formula is the perfect solution for multi dog households. From puppies, to adults, to less active and senior dogs—this formula is formulated for all ages, breeds and sizes. It’s also a great choice for dogs with food sensitivities—we use only chicken and chicken liver as the protein sources. And all of our pet foods are made right here in the U. S.A. High quality meat simmered in natural broth. Made with chicken, chicken liver, and brown rice for a great tasting meal. Our canned foods are never made with wheat, corn, soy, fillers, antibiotics, hormones, or anything artificial. 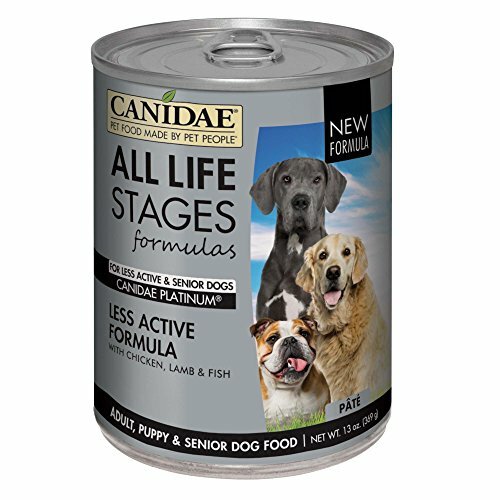 Open up a can of CANIDAE Life Stages canned food today for your favorite canine! Feeding Instructions If fed solely, feed one 13 oz can a day for every 20 lbs of body weight. Puppies may need up to twice the amount for the same body weight and nursing mothers up to three times. Fresh water should be available at all times. 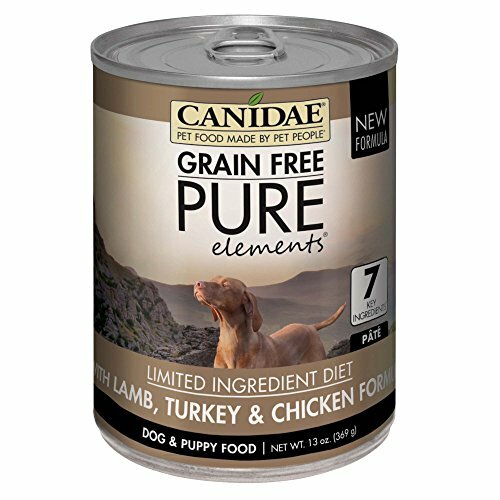 To achieve a balanced diet and maintain firm stools, CANIDAE recommends a feed ration of 25% canned to 75% dry dog food by weight. 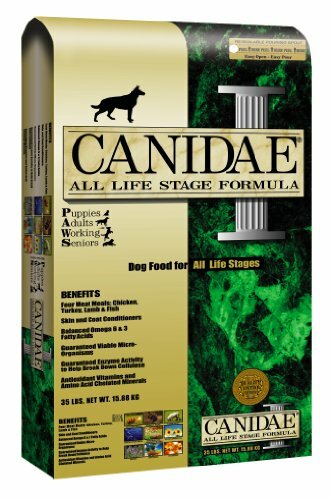 We recommend CANIDAE Life Stages Chicken Meal & Rice Formula dry dog food as a delicious complement to this formula. Pure Ingredients, Real Nutrition We use high quality chicken for great nutrition Simmered in natural broth Great for multi dog households and dogs of all ages, breeds, and sizes No wheat, corn, soy, fillers, antibiotics, hormones, or anything artificial Made in the U.S.A.
CANIDAE Single Grain Protein Plus is a super-premium dog food with 29% protein featuring five high quality protein sources: fresh chicken, with chicken, turkey, lamb and fish meals. With fresh chicken as the first ingredient, and a single grain source - brown and white rice only - Single Grain Protein Plus provides simple, natural results. Simple, Natural, Holistic. 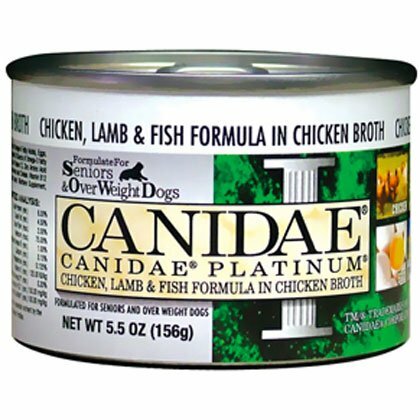 CANIDAE Single Grain Protein Plus is a super-premium dog food with 29% protein featuring five high quality protein sources: fresh chicken, with chicken, turkey, lamb and fish meals. With fresh chicken as the first ingredient, and a single grain source - brown and white rice only - Single Grain Protein Plus provides simple, natural results. 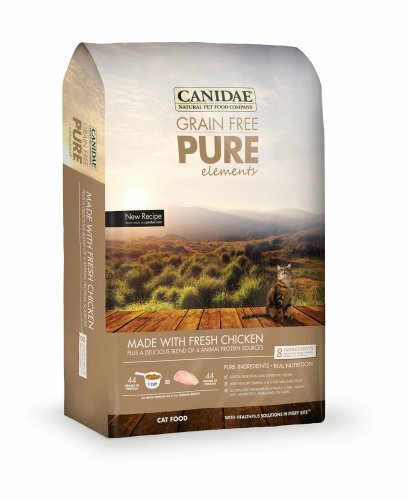 CANIDAE Grain Free PURE Taste treats with fresh chicken are deliciously nutritious treats for your cat. 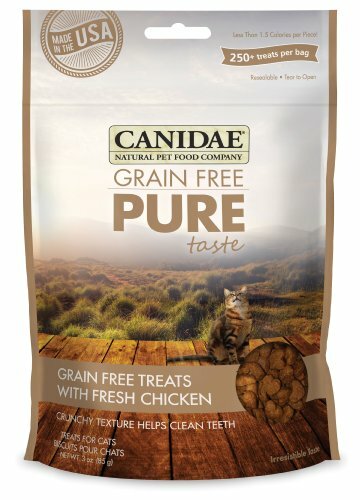 CANIDAE Grain Free PURE Taste treats for cats are made from quality simple recipes just like our dry and canned food formulas. They’re not only delicious—your cat is sure to love them—but you can also feel good treating with them knowing that they are made from nutritious ingredients. Along with fresh chicken, our treats are also made with high quality chicken meal, turkey meal, lamb meal and fish meal—right here in the U. S.A. ! The perfect way to treat your cat. CANIDAE Grain Free PURE Taste treats are the perfect reward for all cats. Their crunchy texture helps clean teeth and freshen breath. Use them to train or treat your feline companion. Feeding Instructions Treat your cat to these healthy snacks anytime. 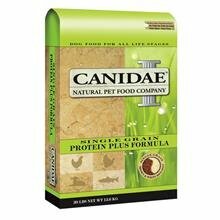 We recommend CANIDAE dry and can cat foods for a healthy, nutritious diet you and your cats will love. Treats should be offered only as a supplement to a complete and balanced diet. Pure Ingredients, Real Nutrition Made With Fresh Chicken: Fresh chicken is the first ingredient and nutritious chicken meal and turkey meal are next Only 7 Ingredients: Including wholesome peas, potatoes, and lamb meal Crunchy Texture: Helps clean your cat’s teeth Resealable Pouch: Keeps treats fresh tasting and crispy for the crunch cats love!